Quand le Cathodion est mis dans un cimetière depuis le jeu, ajoutez à votre réserve. 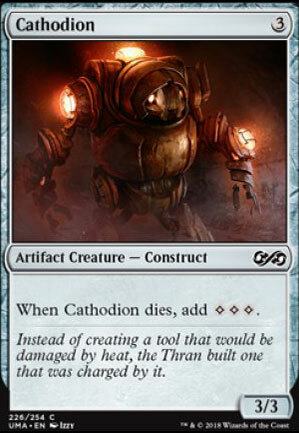 When Cathodion is put into a graveyard from play, add to your mana pool. Cathodions repair the Great Furnace by soldering parts of themselves to the mechanism. Eventually, they become one with the machine.